I'm going to say straight away that my methodology is flawed, but I will share what I have. Very many IPs in this range have hosted badness in the past year-and-a-bit (e.g. 5.133.179.165), mostly using subdomains.. to the extent that there are too many sites to analyse easily if I take the data from a passive DNS service. Instead, I elected to use the DomainTools reverse DNS which limits the results to domains only (not subdomains) and these are mostly active sites. Running the list through my analyser checks that the IPs are valid, and would normally tell me things such as the Google Safebrowsing Diagnostics and SURBL rating. Here's what is odd. None of the sites that I found [pastebin] have a negative reputation, I would expect to see about 1% in a normal sample, and out of 399 sites it comes back with zero. In fact, none of these sites seem to have any web presence at all, and all the ones that I have tried come back with almost no references on Google at all. In the meantime I will continue digging.. 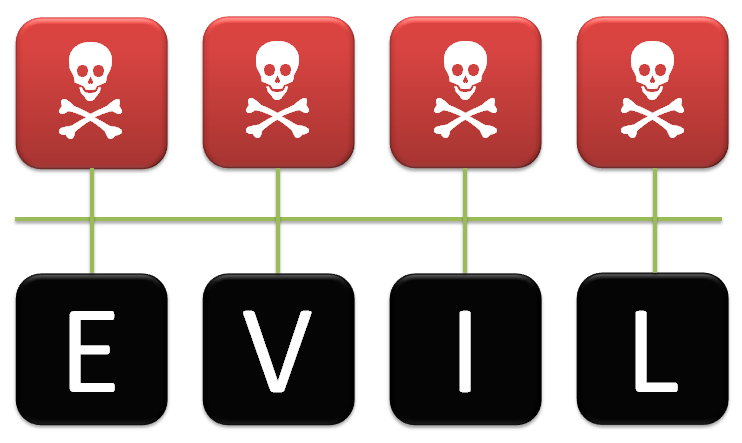 This post at malware.kiwi caught my eye after a sort-of challenge by Techhelplist. Well, the bottom line is that these get-rich-quick schemes are run by serious organised criminals who tend not to leave too many traces behind. This appears to be a binary options scam that is using illegally hacked sites as redirectors, and I suspect that it is using a botnet to send the spam in the first place, although this is not clear. Eventually, victims are sent via an affiliate link to a site searchingprofit.me, more of which in another post. It turns out that dailybusinessdirect.com is hosted alongside a cluster of related domains on a set of IPs apparently belonging to a firm called Echo Romeo LLP in the UK. From the research I have done, it appears that Echo Romeo are a legitimate small business doing web design and hosting. However, they are listed as the owner 89.144.2.0/24 which seems to be almost completely full of spam, scam and malware sites. 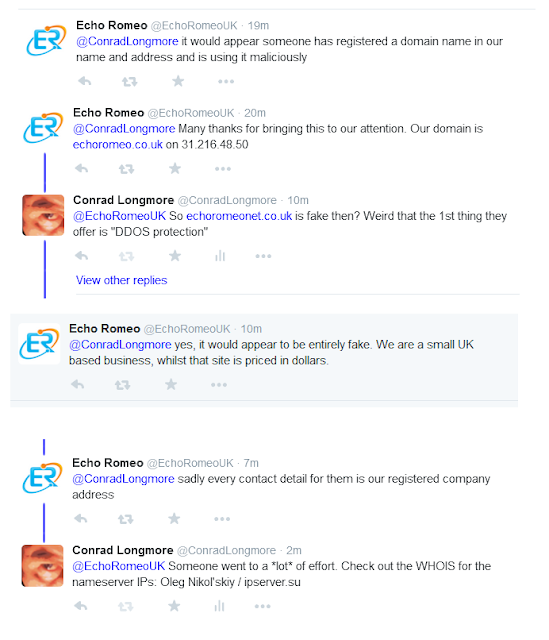 UPDATE: there is evidence that Echo Romeo are the victim of a type of corporate identity theft. Scroll to the bottom for me. Here's an oddity - Echo Romeo have a portfolio on their site of designs they have done for customers. As far as I can tell, none of those customer sites are actually hosted in this IP address range. Some of these domains have anonymous WHOIS details, some have details that look fake. I have not found any way to trace ownership of these domains.. after all, these are not amateurs, these are professional fraudsters who tend not to make silly mistakes. I checked all the active sites in the 89.144.2.0/24 range against SURBL which came up with these results [csv]. Out of 56 sites identified, 13 are identified by SURBL as being spamming and/or phishing. But what of the rest? Of the 13 site(s) we tested on this network over the past 90 days, 1 site(s), including, for example, 89.144.2.0/, served content that resulted in malicious software being downloaded and installed without user consent. The last time Google tested a site on this network was on 2015-09-07, and the last time suspicious content was found was on 2015-08-24. Yes, this network has hosted sites that have distributed malicious software in the past 90 days. We found 2 site(s), including, for example, t9e.net/, 89.144.2.0/, that infected 7 other site(s), including, for example, kgdbase.com/, kgdbase.eu/, softbase.xyz/. What is the current listing status for t9e.net? Part of this site was listed for suspicious activity 150 time(s) over the past 90 days. Of the 22277 pages we tested on the site over the past 90 days, 0 page(s) resulted in malicious software being downloaded and installed without user consent. The last time Google visited this site was on 2015-09-07, and the last time suspicious content was found on this site was on 2015-08-24.Malicious software includes 25596 trojan(s), 61 exploit(s). This site was hosted on 2 network(s) including AS199762 (ECHOROMEO-AS), AS35042 (ISP4P). Over the past 90 days, t9e.net did not appear to function as an intermediary for the infection of any sites. Yes, this site has hosted malicious software over the past 90 days. It infected 3 domain(s), including kgdbase.com/, kgdbase.eu/, softbase.xyz/. 25,596 trojans and 61 exploits? I think that's a site to avoid, and as you might guess t9e.net has anonymous WHOIS details. The domains travsolut.com and travsolut.org on 89.144.2.143 are associated with suspect-looking job offers and claim to have been founded in 2002 in Australia, yet the domains were only created in 2015 with the .org being registered to an address in Spain. On 89.144.2.148, the domains weksrubaz.ru, linturefa.ru and xablopefgr.ru are all associated with with the POSeidon malware. On the same IP, srachechno.com is associated with a later version of the same malware. On 89.144.2.150 another POSeidon domain lurks, repherfeted.com. 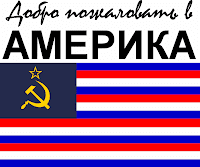 And on 89.144.2.151 there is litramoloka.com which is again POSeidon, as is cawasuse.ru on 89.144.2.152. On 89.144.2.153 is the domain ranferolto.com tagged as Infostealer.Posfind by Symantec. On 89.144.2.154 the domains gowasstalpa.com and nasedrontit.com are associated with the Pony Downloader. On 89.144.2.180 the website clarkgrp.org has been accused of being fake. If that is the case, then marlin-staff.com on the same IP will probably be too. Overall, the evil-ness factor of 89.144.2.0/24 seems very high indeed (for example, this Damballa report on POSeidon shows how the bad guys moved to this netblock), and yet Echo Romeo LLP seems to be completely legitimate. I even went to the effort of checking them out at Companies House, and all seems OK. I wonder if perhaps the bad guys have either gained control of the IP block or have popped a large number of their servers? I asked Echo Romeo about this and their response was very quick..
Echo Romeo had pointed out something that I had missed. The registrant details for the IP block were very similar to their real details.. These closely match the real contact details of Echo Romeo. The fake website itself is hosted on 212.38.166.68 (one of the nameservers). It looks very different from the real website. But all the contact details on the FAKE website point to the REAL Echo Romeo. The whole site looks like a fake created just to get hold of a range of IP address. Let's go back to these IPs.. The 89.144.2.0/24 range with the fake registration details is carved out of an IP block belonging to isp4p.net (IP Interactive UG, Germany). 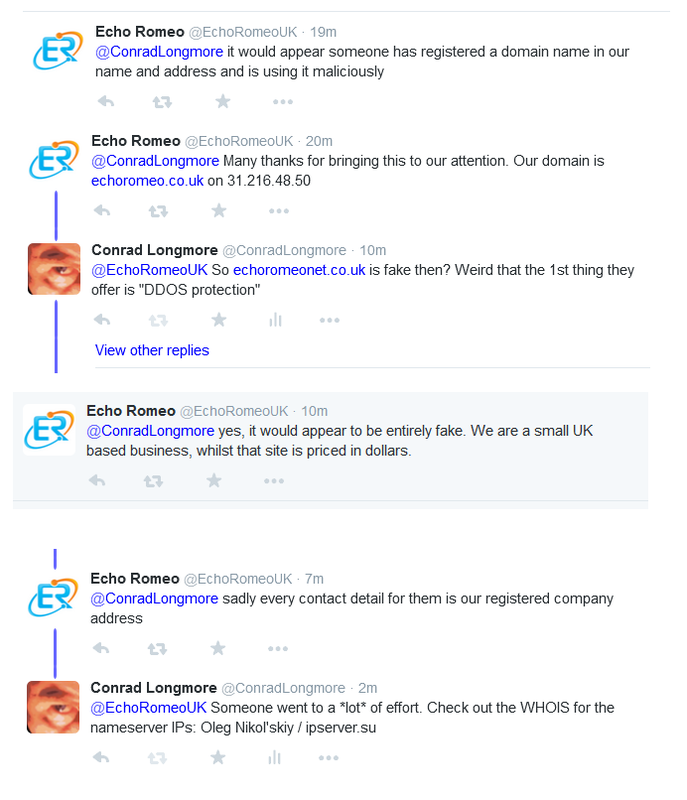 Presumably the bad guys used the fake Echo Romeo domain and name to persuade IP Interactive to lease them a set of IP addresses. Both have been leased from Iomart in the UK. 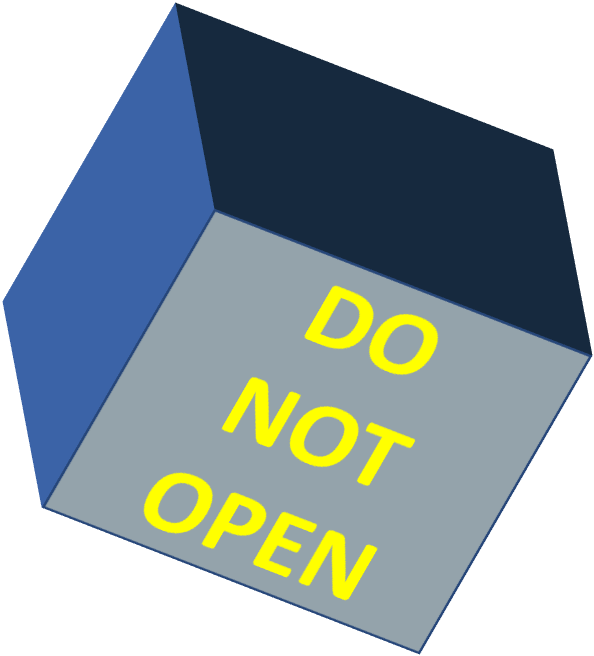 .SU domains such as ipserver.su are such a strong indicator of badness that I even have a little graphic for them. A quick look at the 5.133.179.0/24 and 212.38.166.0/24 ranges indicates they are full of crap. There may be legitimate sites hosted there, but I would recommend blocking them. The evidence that I can find does seem to point toward this spoof IP range being set up by organised criminals in Russia, and my opinion is that Echo Romeo LLP have nothing to do with this at all and are the good guys. Malware spam: "Message from scanner" / "scanner.coventrycitycentre@brianholt.co.uk"
I don't have the body text for this particular message, but I can tell you this is not from Brian Holt (a property agent in Coventry, UK) but is instead a simple forgery with a malicious attachment. To show the level of detail the bad guys go to, they have even included extra mail headers (usually hidden) to attempt to identify the sender as a Konica MFD. It's a strange thing to do, considering that anyone skilled enough to examine the mail headers should also notice the malicious executable Sscanner15081208190.exe embedded into the attachment Sscanner15081208190.zip . This executable has a detection rate of just 5/54. 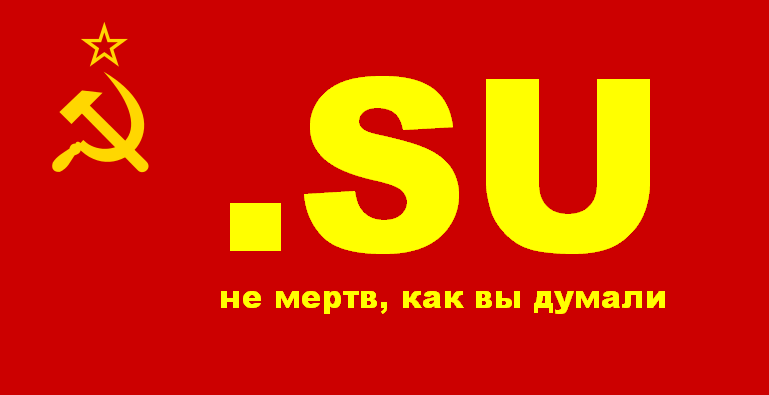 .SU (Soviet Union) domains are almost always bad news. If you can block them on your web filter then I recommend that you do so. This particular site is hosted on 95.172.146.73 (RTComm-Sibir, Russia). The network range of 95.172.146.0/23 does seem to contain some legitimate Russian-language sites, but you might want to block the whole range to be on the safe side. The payload is unknown, but typically malware like this will drop either the Dyre banking trojan or some sort of ransomware. Malware spam: "SHIPMENT NOTICE" / "serviceuk@safilo.com"
or go to the Order status page of the site. I am not entirely certain of the payload as the download locations seem to be unreliable. I was hoping to hear from you by now. May I have payment on invoice #84819995669 today please, or would you like a further extension? The attachment is an archive file invc_2014-09-15_15-07-11_6767390.arj so in order to get infected you would need an application capable of handling ARJ archives. Once unpacked, there is a malicious executable called invc_2014-09-15_15-07-11_88499270.exe which has a VirusTotal detection rate of just 1/55. The Comodo CAMAS report shows the malware attemping to phone home to golklopro.com/bitrix/modules.php which is multihomed on a number of IPs that look like a botnet to me. This malware looks like Zbot and is poorly detected by VirusTotal. The ThreatTrack report [pdf] shows that the malware attempts to connect to a bunch of domains that do not currently resolved (listed here [pastebin]). UPDATE 2014-09-16: a second binary is doing the rounds, the detection rate for this at the moment is 27/55. Initial analysis suggests that it calls home to the same domains and IPs as listed above. Thanks to a tip to investigate 199.68.199.178 I discovered that the Caphaw network I looked at yesterday is much bigger than I thought. The following IPs and domains can all be regarded as malicious (.SU domains are normally a dead giveaway for evil activity). This list replaces this one, and mostly contains domains and IPs connected with this gang. The list starts with IPs and web hosts, followed by plain IPs and domains for copy-and-pasting. Your order shipped on 08/07/2013 and is on its way to you. Click here to log in to MY ACCOUNT for the latest information on your order. 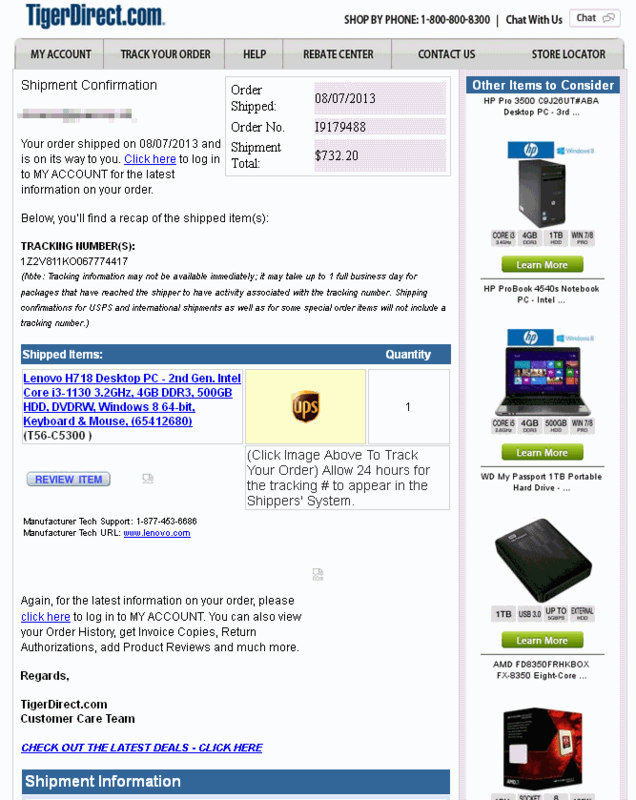 (Click Image Above To Track Your Order) Allow 24 hours for the tracking # to appear in the Shippers' System. Again, for the latest information on your order, please click here to log in to MY ACCOUNT. You can also view your Order History, get Invoice Copies, Return Authorizations, add Product Reviews and much more. Your shipping method varies. Please view the chart below for approximate transit times. Saturdays, Sundays and holidays do not count toward the estimated transit days. Packages that leave our fulfillment center on Saturdays, Sundays or holidays will not actually reach the shipper until Monday or the next business day. Should you have any additional questions regarding your order, please feel free to visit our customer help pages at http://www.tigerdirect.com/help/. TigerDirect.com is not responsible for typographical errors or omissions. 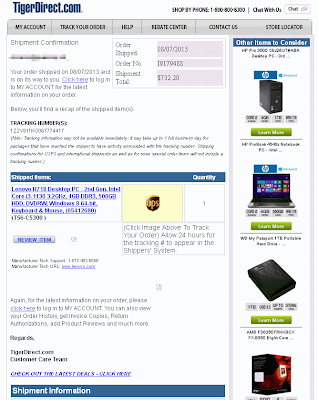 This email was sent to dynamoo@spamcop.net in response to Order # I9179488. Clicking on the links in the email takes you to a legitimate hacked site and then on to a malware landing page at [donotclick]www.tigerdirect.com.secure.orderlogin.asp.palmer-ford.net/news/tiger-direct.php (report here) which contains an exploit kit. Although it looks a bit like the link is actually on the tigerdirect.com site, it is actually hosted on the recently registered domain palmer-ford.net which has characteristically fake WHOIS details that mark it out as belonging to the Amerika gang. Following on from last week's list, this week seems to see a smaller number of servers and malicious domains from this crew. These sites and IPs are associated with this gang, and are either currently in use or they have been in use recently. The list has individual IPs and web hosts first, followed by a plain list of recommended items to block. These domains and IPs seem to be active as Zbot C&C servers. 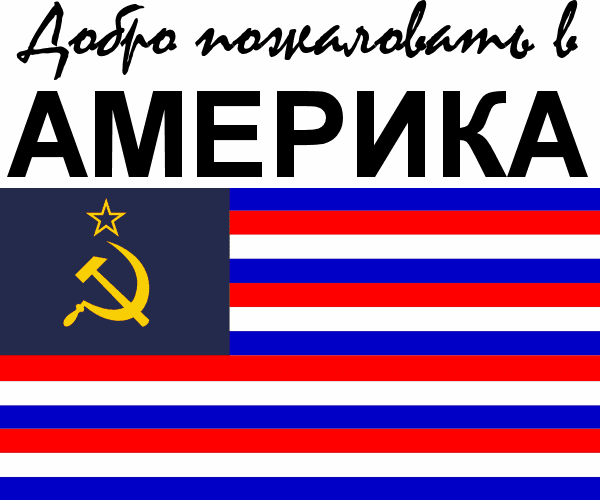 The obsolete .su (Soviet Union) domain is usually a tell-tale sign of.. something. These domains and IPs are currently acting as C&C and distribution servers for Zbot. I would advise blocking these IPs and domains if you can. There are three parts to the list: IPs with hosting company names, plain IPs for copy-and-pasting and domains identified on these servers.